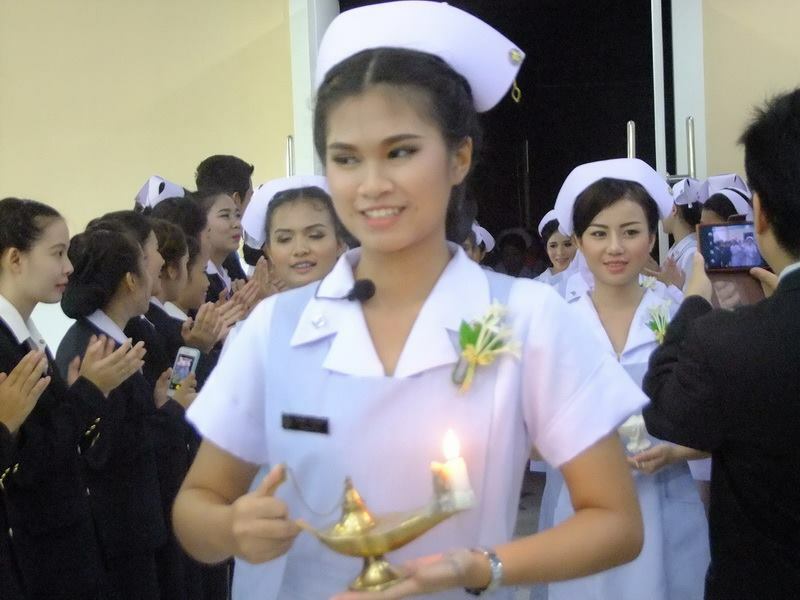 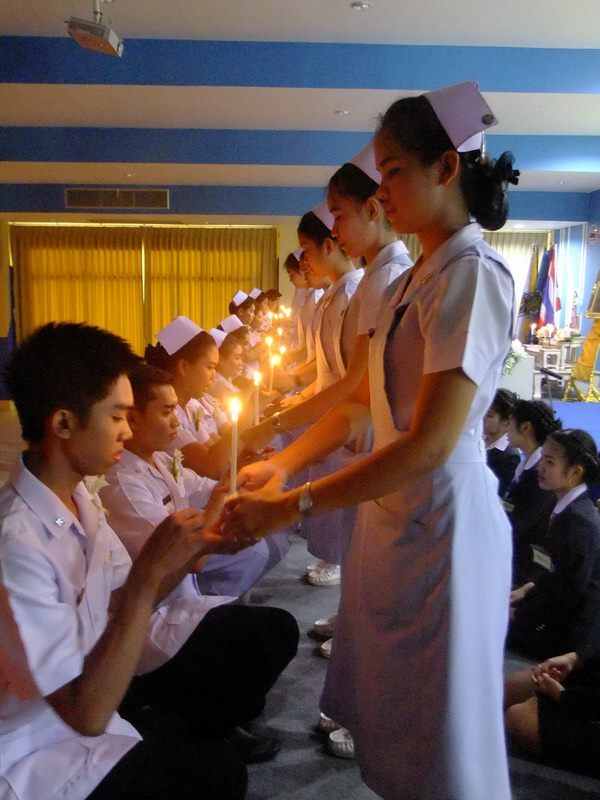 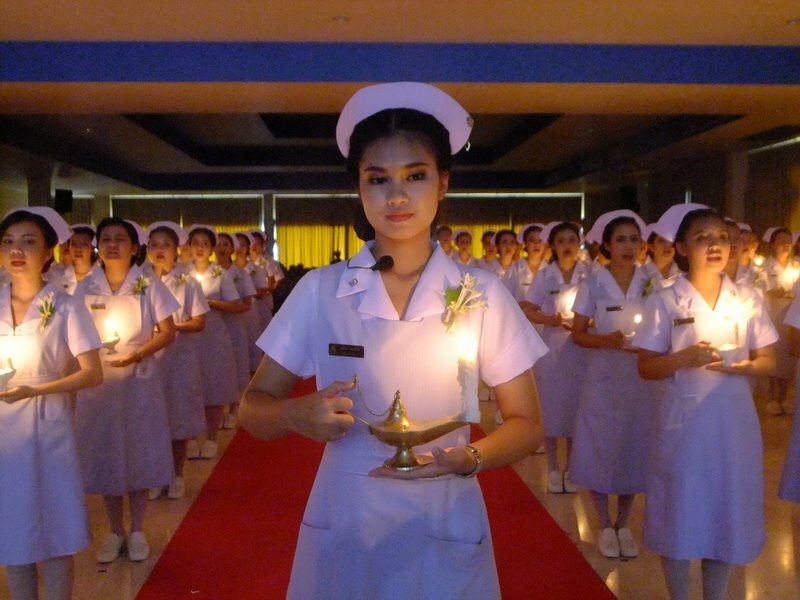 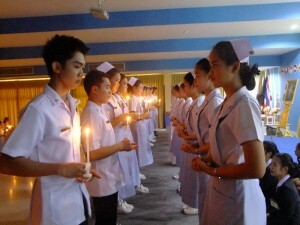 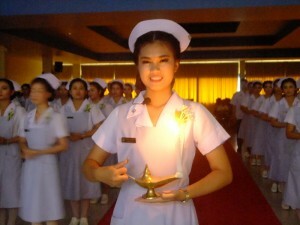 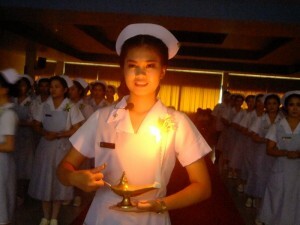 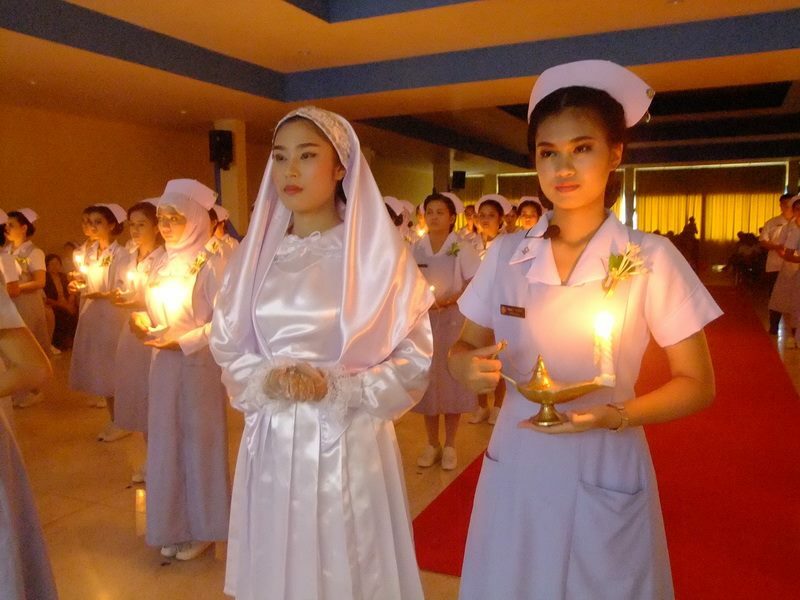 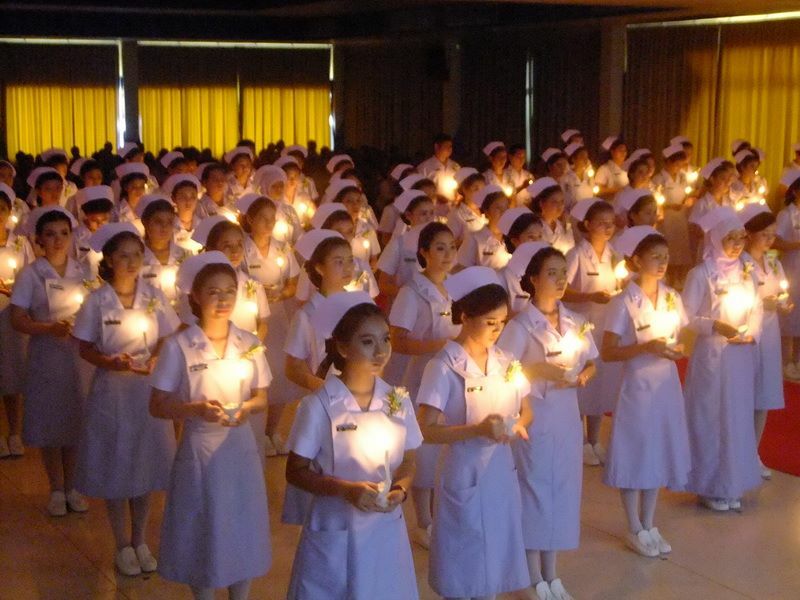 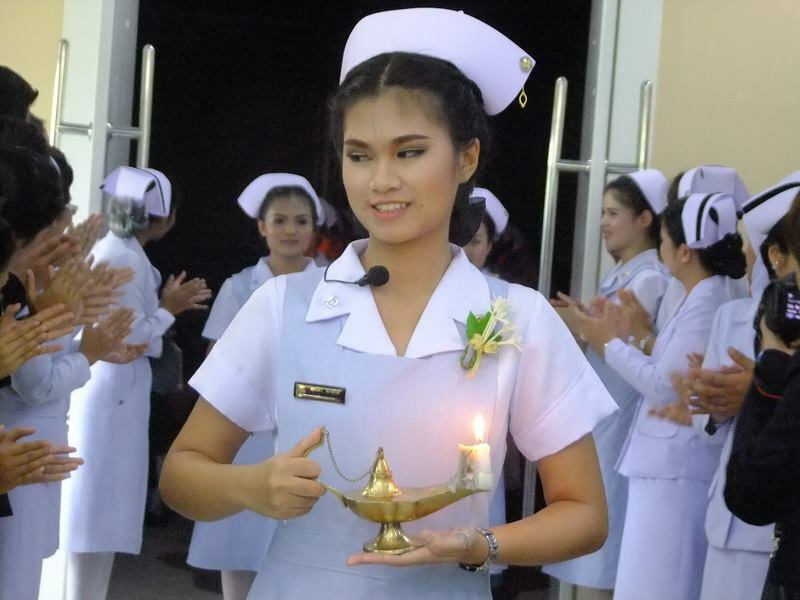 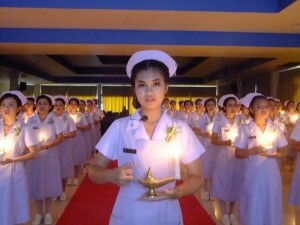 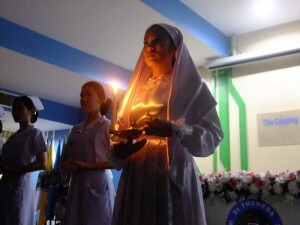 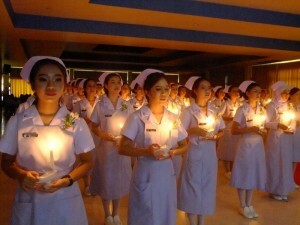 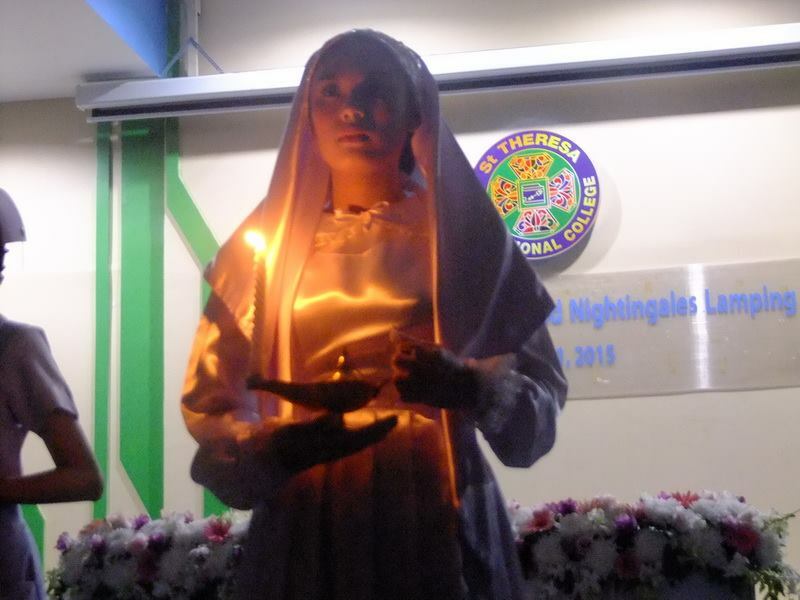 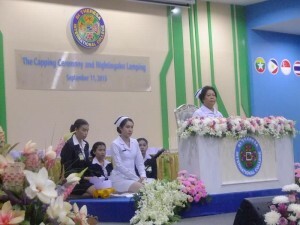 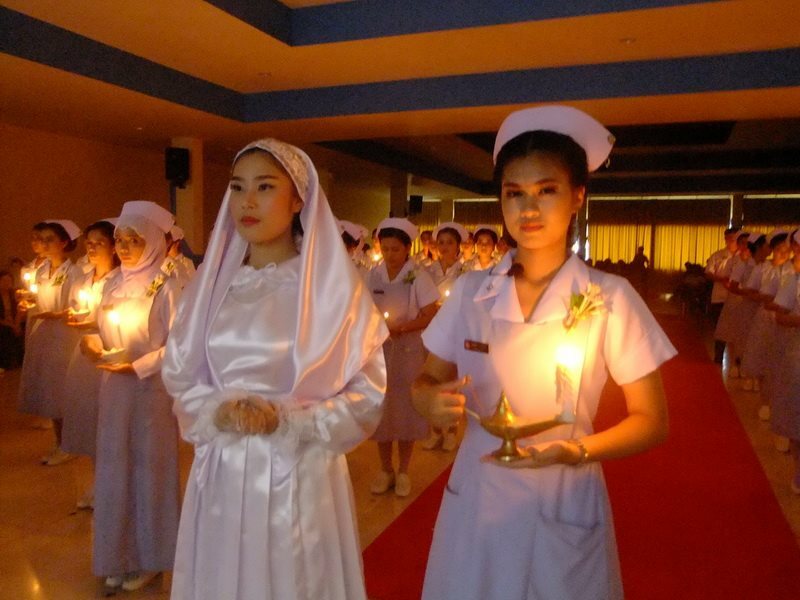 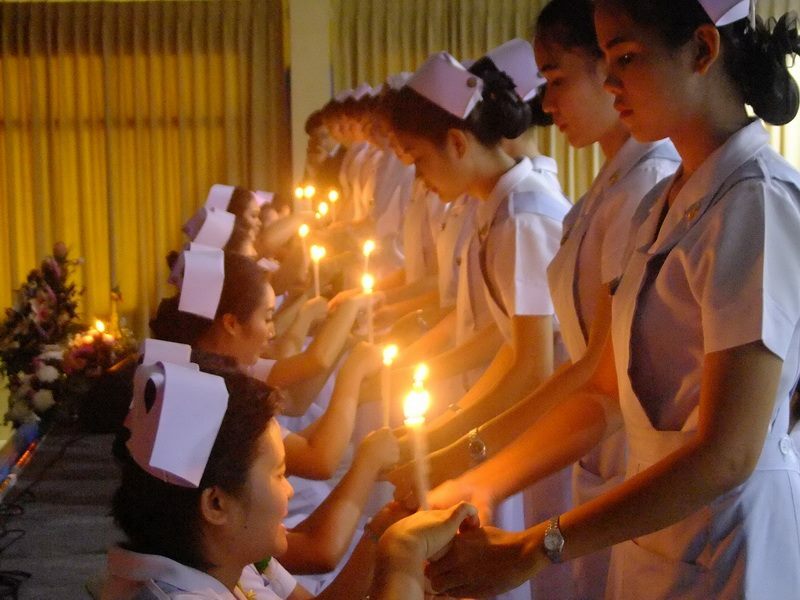 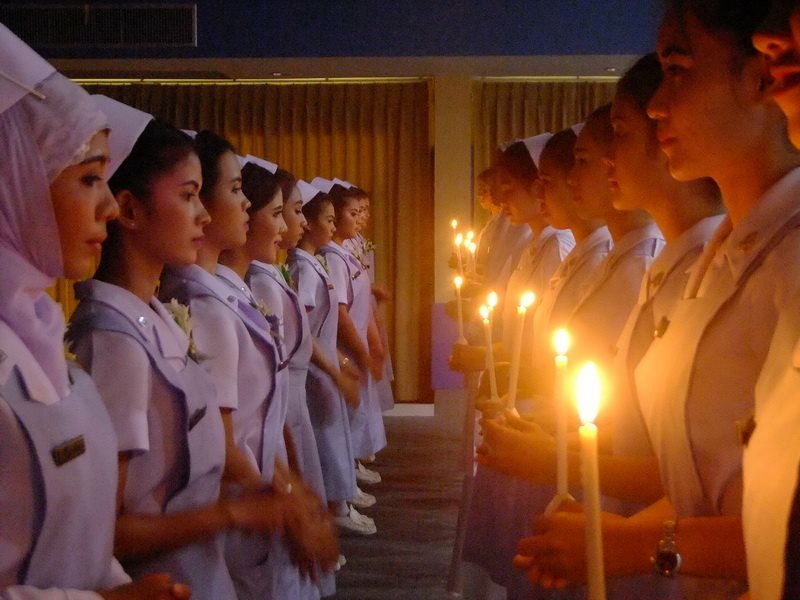 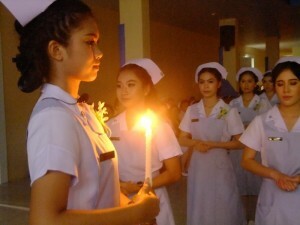 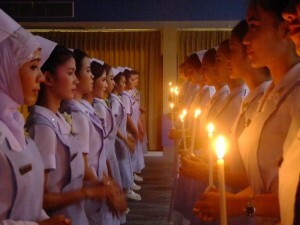 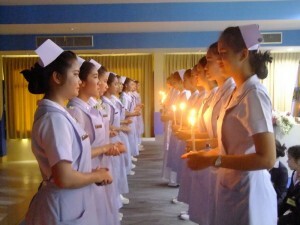 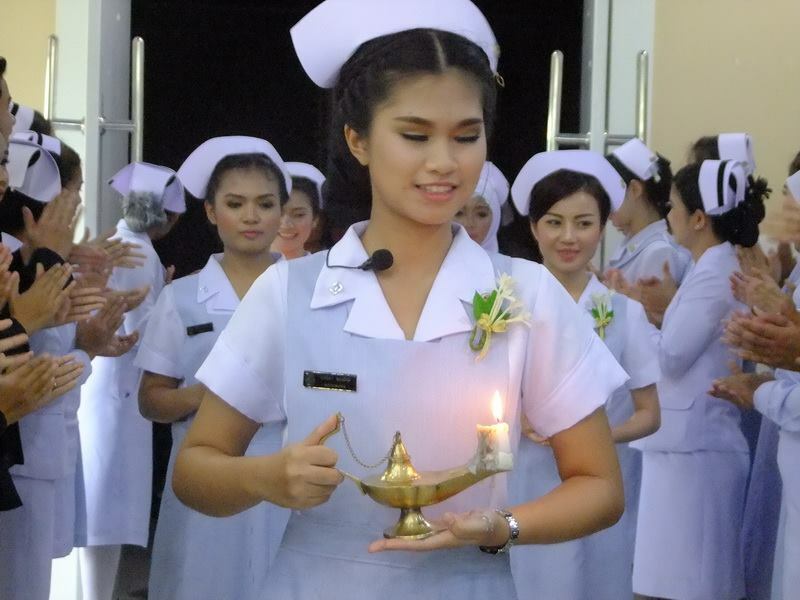 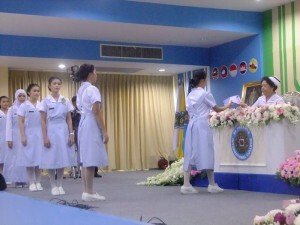 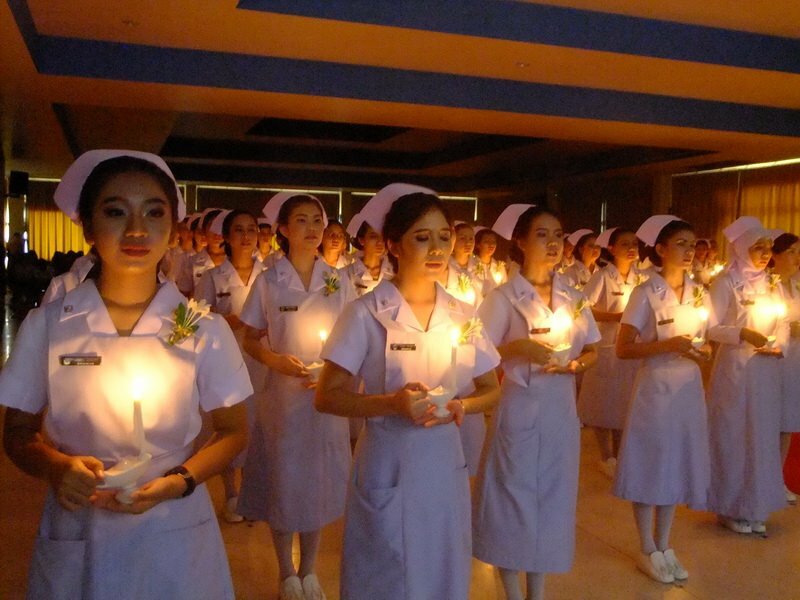 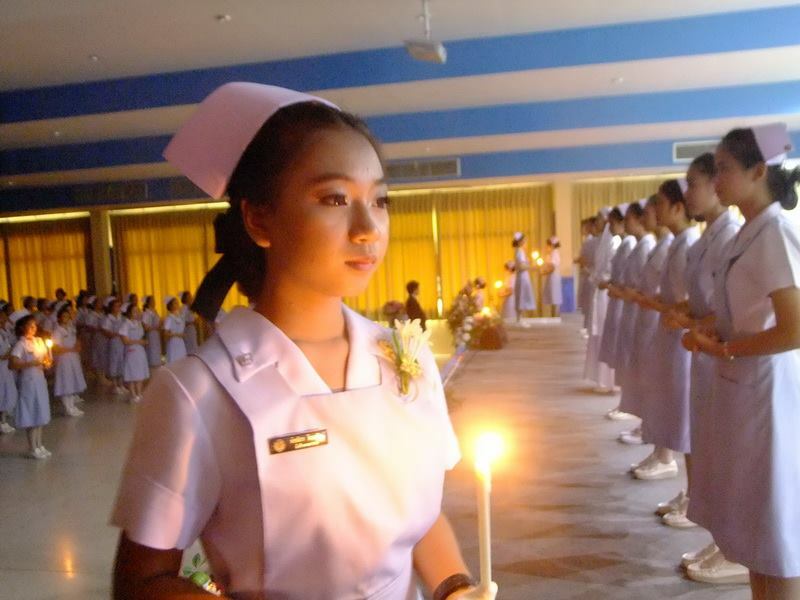 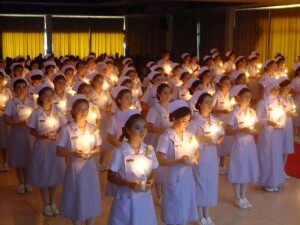 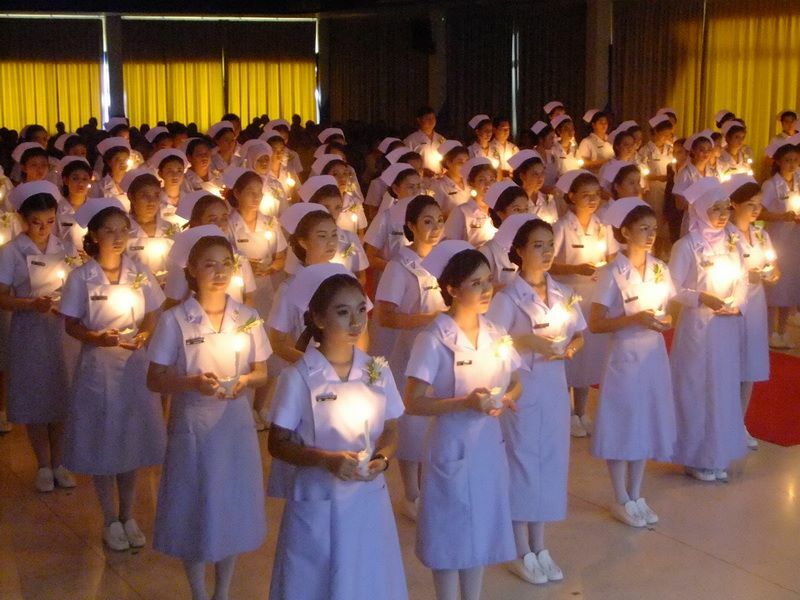 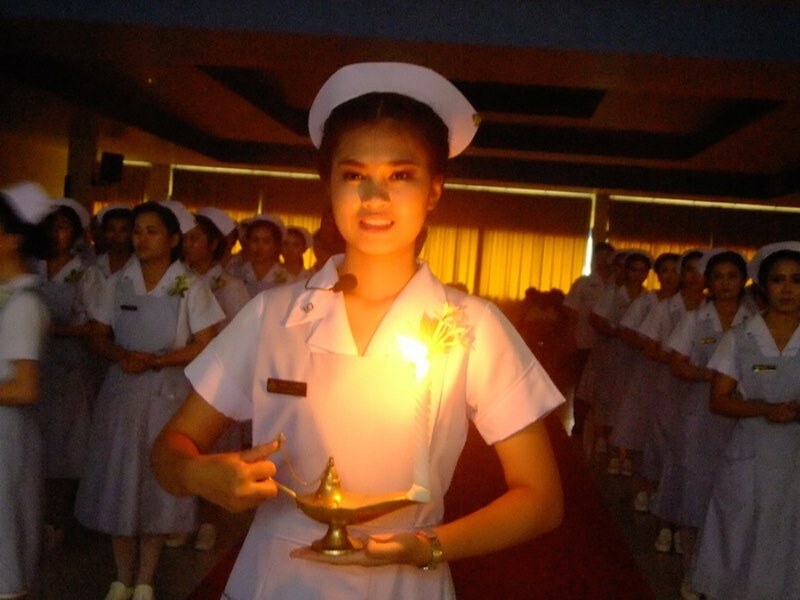 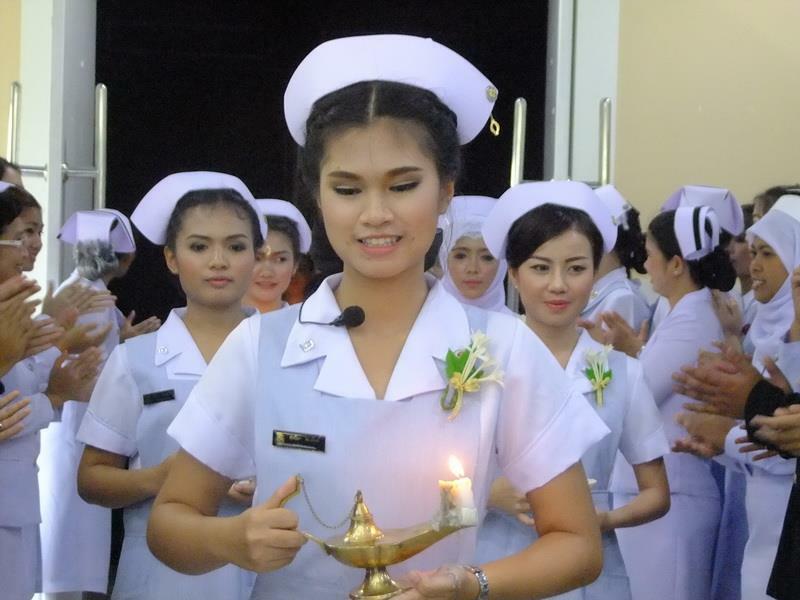 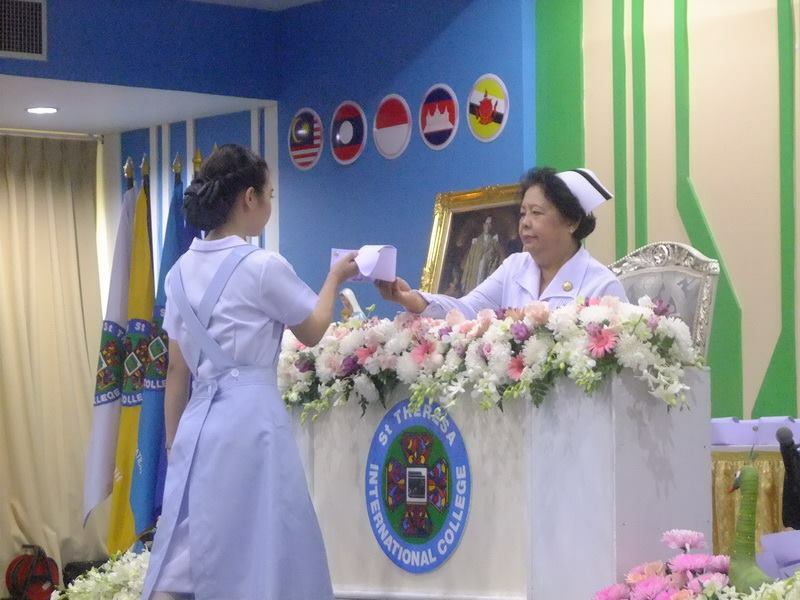 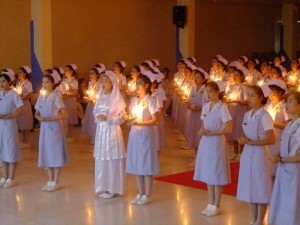 The Faculty of Nursing Science, St Theresa International College on September 11, 2015 held its Ceremony of Nurse Capping and Lighting of Nightingale’s Lamp for the faculty’s 98 sophomore students in nursing science. The grand ceremony organized at Joseph Marie Auditorium was graciously presided over by Dean of the Faculty of Nursing Science Ajarn Vipa Pengsa-iaum. 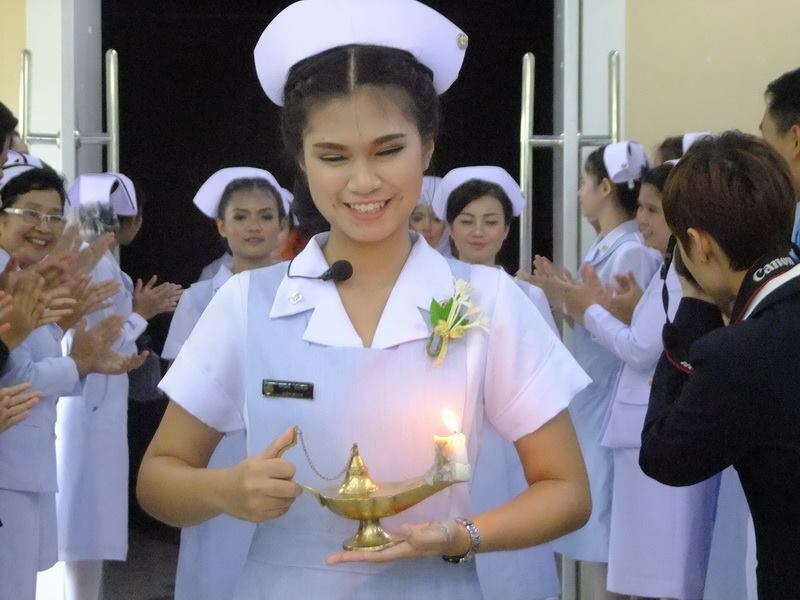 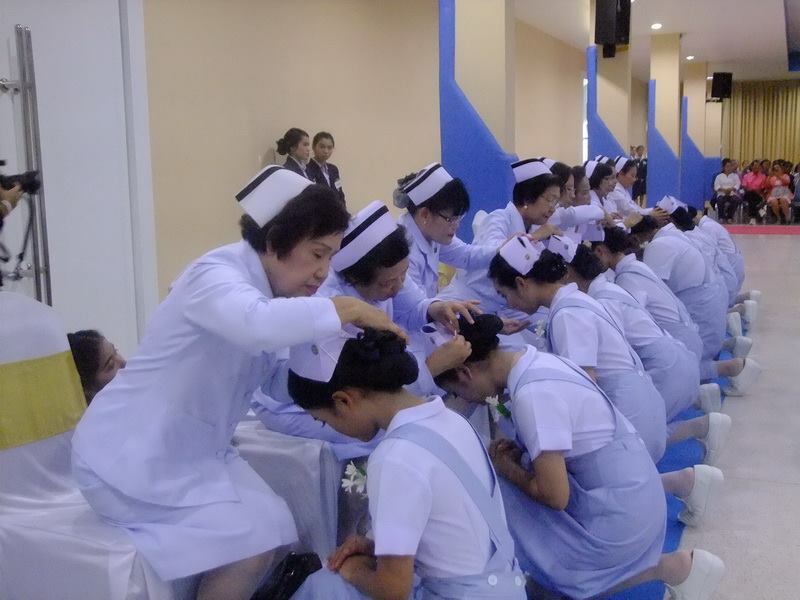 This event was held and aimed to recognize values of nursing and to have positive attitudes towards nursing profession that integrates ethics to principles and concepts of Nursing.